Macron’s preparation for his entry onto the European scene on Thursday and Friday (22-23 June) is highly strategic. The new president has asked difficult questions about France’s place in the European Union and the broader role of the EU in the world, and has made European reform his flagship policy. After inspiring thousands of voters to chant “Europe, Europe” at his campaign rallies, Macron is seen as something of a rock star in Brussels. And he will surely play on this popularity to impose his agenda. 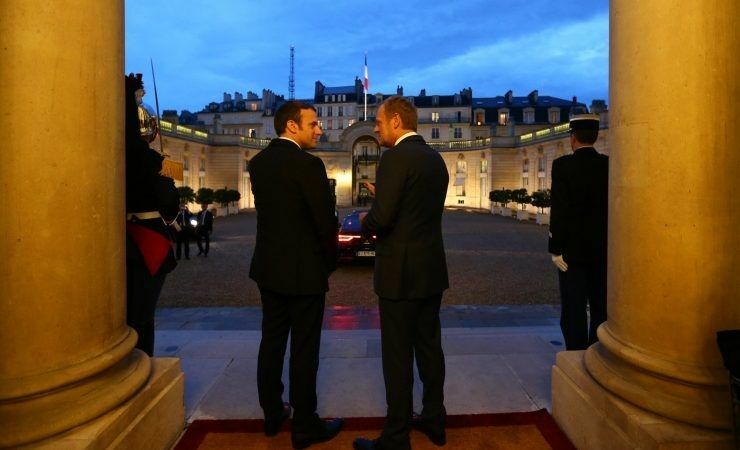 Macron began his presidency with a series of bilateral meetings will Europe’s heads of government: Theresa May, Mariano Rajoy, Juri Ratas, the prime minister of Estonia who takes over the rotating EU Council Presidency, and Mark Rutte, the prime minister of the Netherlands. This schedule has raised heckles on the left, who noticed these are all right-wing leaders. But the French president has still not chosen his camp among Europe’s existing political parties. EU summits are traditionally preceded by political party meetings in Brussels. But Macron, who has shunned the left and the right, will also not take part in the centrist ALDE meeting, despite the fact that his close allies in the centrist MoDem party are members of this pro-European grouping. In refusing to take sides, the French leader is leaving his options open for the upcoming negotiations on the future of Europe. And President Macron has wasted no time in beating the drum for reform. In just one month, France’s Council of Ministers has published two communications on the European agenda and the EU’s working methods. Guided by the president but officially presented by the government, these two texts show just how central Europe is to Macron’s political programme. Top of this programme is the issue of security. For Macron, Europe must provide a structure that protects everyone, both Europeans and refugees, from threats as diverse as uncontrolled globalisation and terrorism. 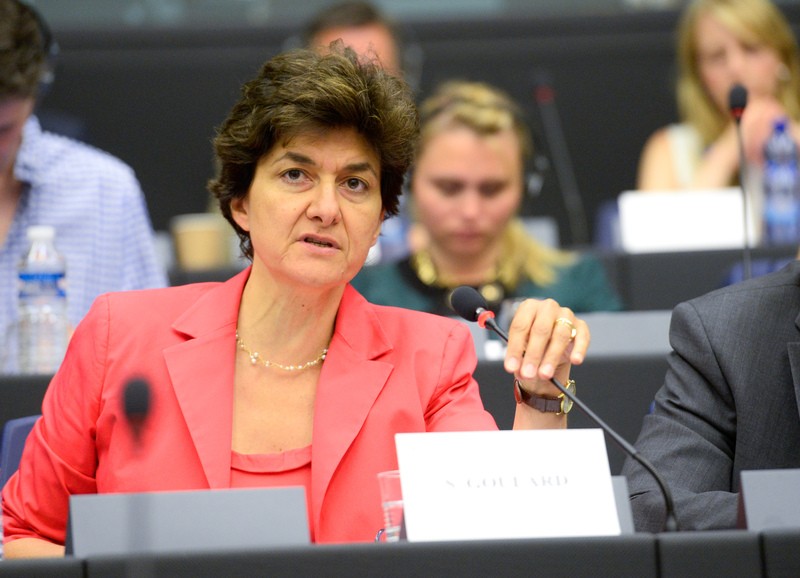 The latest of these government communications, published on 8 June, highlights the importance of public support for the European institutions and the legislation to which France contributes. 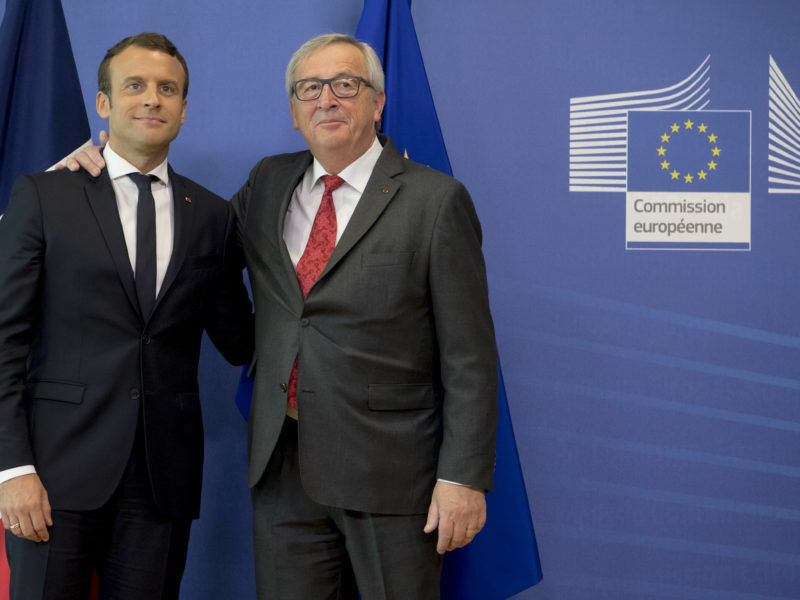 “The presence and influence of France in the European institutions should be a constant priority,” the document said, adding that “it is essential to avoid the temptation to use the community’s institutions as a scapegoat”. Macron’s approach is designed to shape Europe to his own image, rather than to satisfy the EU institutions as they are today. The European Commission already has bitter experience of this approach from the debate on the posted workers directive. France, which is pushing for tougher controls on foreign workers posted from other EU countries, opposed the text presented by the EU executive, which it saw as too lax. The same is true for foreign investment. France has said it will block any investment by foreign companies if reciprocal investment is not possible, a measure clearly targeted at China. “It is not an attack on the Commission. But we have to stop this ultra-liberal vision of the world. France, of course, but also other European countries, must protect themselves,” said a government source. One thing is certain: rock star or not, Macron’s relations with Brussels will not be a bed of roses.